The MOON 330A is a differential stereo power amplifier that effortlessly produces 125 watts/channel into 8Ω and 250 Watts/channel into 4Ω. Think of tight, deep, authoritative bass with lightning fast speed, an incredibly low noise floor, excellent dynamic range, a transparent lifelike soundstage and the 330A will come to mind. This is the the result of a variety of proven technologies: Simaudio’s highly acclaimed Advanced Renaissance amplifier circuit with zero global feedback, DC-coupled circuitry and their own propritary bipolar output transistors. In the end, the class A/AB MOON 330A performs in an exceedingly musical and accurate way. 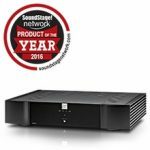 The 330A Power Amplifier is a combination of high-performance and an elegant package. The 330A represents not only an amazing value, but also amazing sound. It delivers a tight, extended and superbly authorative bass with power, weight and articulation. Vocals and cymbals float in a musical space filled with the air and natural ambience of a musical performance. 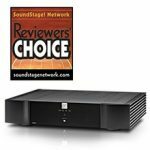 When partnered with the 350P Preamplifier, the combination provides a musical performance so complete and satisfying that one wonders if it can get any better. Technically, the 330A is the stereo version of the flagship 400M Monoblock Amplifiers. Like all MOON products, the 330A is built to the highest standards of materials, quality control, reliability and performance that has made MOON products so famous and respected around the world. A musically engaging experience. Simaudio’s unique heat-sink geometry allows for ultra-effective and efficient cooling. The amplifier’s oversized power supply contains a large proprietary toroidal transformer and substantial energy storage. Finally, with both balanced (XLR) and single-ended (RCA) inputs, the MOON 330A represents the ultimate choice for performance, reliability and affordability. A “no overall feedback” design resulting in genuine real-time amplification, a more accurate musical reproduction with respect to tonality, virtually non-existent intermodulation distortion and the elimination of common phase errors resulting from feedback. Precision matched proprietary MOON Bipolar output transistors with unprecedented gain linearity, resulting in improved bass response and even more accurate sonic reproduction. 12 Volt trigger input/output for remote operations. Proprietary MOON Bipolar output transistors. A high damping factor yielding superior musical dynamics. PCB with pure copper tracings & gold plating that yields low impedance characteristics.